3. Take your child to the bathroom before class. 4. Put on dance shoes and get ready for class. Please make sure the ballet strings on your child’s ballet slippers are tied and cut short to avoid playing with them during class. 5. Sit in waiting room and wait for teacher to call students into class. When the instructor calls the students, dancers will line up (without parents) at the door of the classroom before they go in. The viewing window may be closed for the first week of class so little ones do not get distracted by parents. · If dancers are distracted with an open viewing window the teacher will close the curtains. · Do not send toys into class with dancers besides their twinkle bear. Toys in class can be very distracting. 1. Referral must use your name on Registration Form as a referral. 2. Only one referral name may be used on registration form by new student. 3. Referred student must make at least one tuition payment before referral certificate will be awarded. 4. Referral gift certificate will be mailed. Fall registration fees for a single student are $25.00 and a families are $35.00. This will include 1 FREE Northstar t-shirt until August 15th. Accepted credit cards are: Visa MasterCard, Discover, or Money Order. Payments can be made: In person, over the phone, or by credit/debit card online via customer porthole. AUTO-TUITION PAYMENTS- pay by auto-deduct with credit card. We will automatically deduct your tuition from your credit card, kept on file, on the 1st of each month. We accept Visa, MasterCard, or Discover. Option 3:FULL YEAR PAY – Pay for the full year when you sign up and you will receive 10% off that season’s tuition. -There is a $10.00 late fee for any payment made after the 10th day of month. There are NO exceptions to this rule. Payments can always be made online if you will not be in the studio by the 1st of the month. 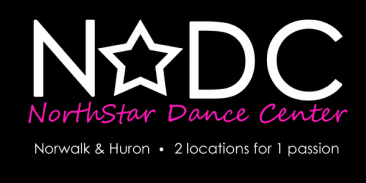 www.northstardancecenter.com, then click on “members” section of our website you will find: Event Calendar, Newsletters, Current Recital Info, Class syllabus, Home practice guides, Handouts, Coloring pages and more! Current students can make payments & enroll for classes via customer porthole online. Tuition- Tuition is only refundable for NEW students within the first 30 days of class time. After 30 days tuition is NON-REFUNDABLE. If you choose to withdraw we require a filled out withdraw form. Dancewear- dancewear may be returned within 30 days. No pre-worn dancewear or dance tights may be returned. Costumes-Costume payments are NON-REFUNDABLE. Once you pay for your costume it is ordered and the costume companies do not accept returns. Withdraw must be made in WRITING. If you do not submit a written request you will continue to be charged your monthly tuition. Pick up a withdraw form from the front desk or online. This must be mailed to us, or brought into the studio in person. For first time families we want to give you a chance to “sample” our classes, so we are happy to give all your money back if it isn't what you expected before the end of your first 30 days. Let us try to change times, classes, or teachers first if possible, but if it does not work out, we will refund your tuition. Again registration is NON_REFUNDABLE. Accounts must be paid current to order your recital costumes. If you owe a balance on your account, the costumes will not be ordered. Please call studio to inform teacher of student absence at 419-663-3036. Class make-ups must be made within one month of student absence. You can’t make up a missed class in a class time slot that is full. You may take another class instead. You must schedule make ups at the front desk, online or by phone. We will only allow 1 make up in a class at a time. Please refrain from coming to dance class if dancer is sick. (Remember, classes can be made-up). If a dancer is coughing or has a runny nose, she/he will be asked to wash their hands. Young students must be escorted by an adult in and out of the studio. Parents are permitted to leave the studio during class. If parents are running late young dancers are permitted to sit in dance room until parents arrive. We do this as a courtesy to young dancers. Please do not abuse this! If parents are more than 15 minutes late, there will be a charge of $5/15min for a childcare fee. Parents who feel their child should be moved up a level need to fill out a comment or question sheet at the front desk. The teacher will look over this and tell the front desk whether the student can move to the next level or not. No student will be moved up without this form signed by a teacher. Other Cancellations: Because emergencies can happen, if classes are cancelled for reasons other than weather, a phone call will be made to you personally. We don’t follow any school schedules. Please do not open the door to the classroom while class is in session. Doing this interrupts class time and is extremely distracting to young dancers. If you need assistance please talk to the secretary or knock on the door first. For respect of all students and instructors each class must start on time. All students must be dressed in proper dance attire and proper shoes 5 minutes before class starts. The studio door will open 10 minutes before the first class of the day. Water bottles are welcome in class unless they become a distraction. Snacks may be eaten in the waiting room. -NO GUM allowed in the class room at any time. There are snacks and beverages for sale at the front of the studio. Parents are responsible for their child’s behavior at all times. If there is any destruction of property, the parent will be held responsible for any damages to the property damaged by their child. In order to progress as a dancer, regular attendance is encouraged. Teachers reserve the right to withhold a child from the spring recital if irregular attendance inhibits the child from learning the recital routine. All students and parents are required to pick up after themselves and to leave the waiting room, dressing room, studio and restroom neat and orderly. Toys and books should be returned to proper place. DO NOT move any of the chairs in the waiting room. Northstar Dance Center, LLC is not responsible for lost or stolen items. Do not bring valuables to the studio. Why is there a dress code at Northstar Dance Center? -The simple leotard, tights, and skirt combination makes it possible for the instructors to see the dancer’s bodies so they can make the proper corrections. -Young dancers are often distracted by their own dancewear. -Learning to dance and work together as a team can be more easily achieved by removing the distraction of different dancewear. -Instructors are able to choreograph dances more effectively when the dancers are dressed the same. · Tumble students absolutely will not participate unless they are wearing a leotard. · Warm ups and leg warmers may be worn but must be removed at teacher request. Where to buy: We sell all styles of dancewear. Please see the desk for trial sizes. Orders typically arrive within a week.